It’s nearing the end of our Early Intervention journey, and it’s all so bittersweet. As much as I won’t miss having to make sure my house is (somewhat) clean every day, having people in and out, rushing everywhere………. Once the dust settles, I am going to miss the relationships that Rebecca and myself have made over these past few years. These complete strangers came into our house and taught me ways to help Rebecca, to challenge her, to support her, to help her become this independent fearless little girl that she is. I am so grateful for every appointment, and for all of the amazing services that Rebecca has received, even if some days I wanted to lock the door and snuggle with Rebecca in our pj’s all day (ha! ha!). To think that when Rebecca started this journey, she couldn’t even pick her head up off the floor, she wouldn’t even tolerate being held in an upright position, it’s crazy. Rebecca had zero hearing, zero signs, and two parents who knew nothing about deafness, blindness, or a vestibular system. We were taught so much, by some of the most amazing people. We still have so much to learn, but we, and especially Rebecca, have come SO FAR! I remember when I couldn’t wait for her to hear me tell her how much I love her, now she HEARS it all the time, and she SAYS and SIGNS it back to me! I couldn’t wait for her to say “Mama”, and she still doesn’t, it’s “MOM!”, because that’s how her older sister says it. 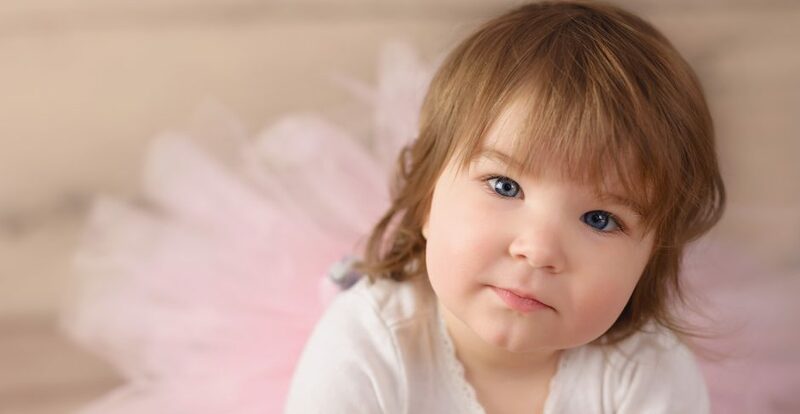 She can count to ten, she can sign and say every color, she loves to sing “Happy Birthday”, she loves to paint and swim……I could go on forever, because she has completely amazed me in all that she has overcome. In just a couple short months Rebecca will be off to school, and she is SO ready! She is so ready because of you, and because of you, I will be forever grateful! Hi Beth. Fred here. Thank you for sharing your thoughts and including us in your “Journey”. Got some eye-sweats while reading your words. I am always inspired by the strength and drive that you and Jake exhibit and also by your tremendous Never Quit attitude. Its a pleasure and makes me proud to say you guys are our family along with Reagan and that beautiful little champion, Becca-Sue! Lots of Love Always.